Getting through your “to do” list faster isn’t what time management is actually about – at least not anymore. After all, this is the digital era, baby! You’ve got a handheld supercomputer sitting in your pocket, a non-stop barrage of interruptions and more expected of you than would have been expected of three accounting professionals a mere 20 years ago. Rather than managing our existing allocation of time as if it were finite, we need to find ways to make our share of time larger, preferably by a multiple or more. Forget the modest notion of merely getting things done; we need to do better, and we can if we employ some “radical” strategies. What you really need to do is to look at everything on your list, pick the single most important thing, then work on it, uninterrupted, until it’s completed. The uninterrupted part is the toughest, by far. While it’s very easy and tempting to check your email, answer the phone, respond to an instant message or click over to a website, if you can eliminate the interruptions, you’ll boost your productivity significantly and be able to work the same or even fewer hours. No, you’re not squeezing 30 hours into a 24-hour day. Instead, you’re making sure two things happen. First, you’re working on the single most important task at hand—not the most urgent task or the easiest one – but the most important one. Don’t mistake this for putting out the biggest fire; emergencies are one thing; getting your most important task done is another. Most of the time – if you even have the time – we plow down our “to do” lists without seriously questioning whether it makes a difference if we even do most of the items on it. The sad truth is this: it doesn’t matter. First, the 80/20 principle tells us that 80% of our results will come from 20% of our input. By picking the single most important task to work on, we’re making sure that this action falls within the critical 20%. Second, by focusing 100% of our energies on this item, we’ll accomplish it much faster than we would have if we had allowed ourselves to be distracted by interruptions, or worse, tried to multi-task and complete two or three items at once. Interruptions are the real killer. It’s amazing how fast you can get something done, if that’s all you do. Everything that’s being done manually in your office or when you work remotely needs to be given a good hard look. We are on the eve of 2012. At long last, software is actually starting to work! The dirty secret few software industry providers want you to know is that adoption rates – and I’m talking about adoption rates on anything – are actually pretty dismal. I believe that’s the case because most business software has traditionally been quite complex, requiring a lot of adoption, training and wrangling on the part of the user. The result? We ultimately opt for a simple solution like Word, Excel and perhaps QuickBooks to manage a practice. Accounting – A good alternative to QuickBooks® Desktop is the new online version. With QuickBooks Online, you can log into your clients’ accounts directly without the need to send files back and forth. Project Management – We use two products for project management. First, Workflowy is a great, free app for keeping a bullet point list you can share with your colleagues. It’s essentially a white board on a web page, which is often all you need for good project management. For more collaborative bells and whistles such as milestone tracking and file sharing, check out Basecamp, the most popular project management app for small business. Email Marketing – I’m a huge fan of sending out a regular, monthly email newsletter. I believe it’s the highest leverage marketing activity you can do. More leverage gives us more time. If you’re new to email marketing, the easiest tools to get started with, in my experience, are MailChimp and Constant Contact. Both make it easy to import your existing contacts and get started. I would highly recommend you put this on the top of your marketing “to do” list. If you think this idea is controversial, you probably need to be reading this. Are you actually getting anything from your social media efforts, or do you just feel busy? Don’t confuse effort with effectiveness. If you’re not tracing new clients back to Twitter, Facebook and LinkedIn, maybe it’s time to dial back or outright axe the time you put into social media. I speak from experience. 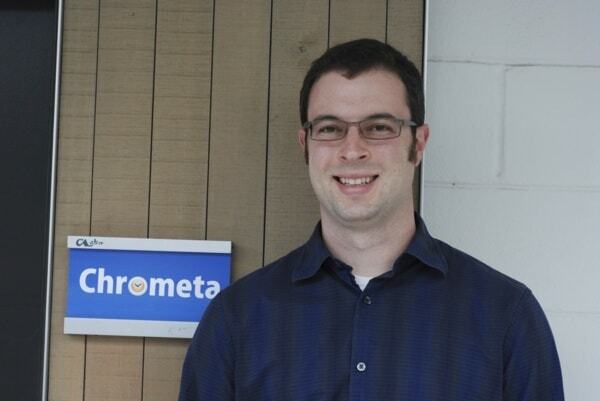 At Chrometa, we do not use social media as a lead generation tool because we found that didn’t work! I think social media is a great way to interact with clients and colleagues, and to engage in conversation. It’s fine as a virtual water cooler, but it’s a big time sink in terms of business development. Remember when outsourcing was all the rage? Well, computers have come a long way, overtaking humans in a wide range of tasks. This is a very good thing for the enterprising professional. You can command a workforce much larger than your current one for the low monthly price of most software offerings. Whether you consider outsourcing part of your plans for 2012, the bottom line is simple. Eliminating your interruptions, automating your busywork and reducing your social media burn should help you grow your total productive time available – and make your work more fun and fulfilling to boot. Take baby steps. If you only have the bandwidth to adopt one of the three core time-saving ideas in this article, then go for one and tackle the others in succession. Make yourself a list of goals and stick to it!